Should exercise be what the doctor orders for depression? More mental health providers may want to take a closer look at including exercise in their patients' treatment plans, a new study suggests. Michigan State University and University of Michigan researchers asked 295 patients receiving treatment at a mental health clinic whether they wanted to be more physically active and if exercise helped improve their mood and anxiety. They also asked if patients wanted their therapist to help them become more active. Eighty-five percent said they wanted to exercise more and over 80 percent believed exercise helped improve their moods and anxiety much of the time. Almost half expressed interest in a one-time discussion, with many participants also wanting ongoing advice about physical activity with their mental health provider. The study is now published in the journal General Hospital Psychiatry. "Physical activity has been shown to be effective in alleviating mild to moderate depression and anxiety," said Carol Janney, lead author of the study and an MSU assistant professor of epidemiology. "Current physical activity guidelines advise at least 30 minutes, five days a week to promote mental and physical health, yet many of those surveyed weren't meeting these recommendations." More than half of the participants said their mood limited their ability to exercise, which Janney said provides an opportunity for physicians and therapists in clinics to offer additional support. "Offering physical activity programs inside the mental health clinics may be one of many patient-centered approaches that can improve the mental and physical health of patients," Janney said. Marcia Valenstein, senior author and professor emeritus in psychiatry at U-M, agreed. "Mental health treatment programs need to partner with fitness programs to support their patients' willingness to exercise more," she said. "This support might come from integrating personal trainers into mental health clinics or having strong partnerships with the YMCA or other community recreational facilities." Both Valenstein and Janney said that psychiatrists and other providers might discuss with patients the general need to exercise, but few actually sit down with patients and create a comprehensive exercise plan for them or regularly make sure they are adhering to a specific goal. "Mental health providers such as psychiatrists and therapists may not have the necessary training to prescribe physical activity as part of their mental health practice," Janney said. "But by teaming up with certified personal trainers or other exercise programs, it may help them prescribe or offer more recommendations for physical activity in the clinic setting." 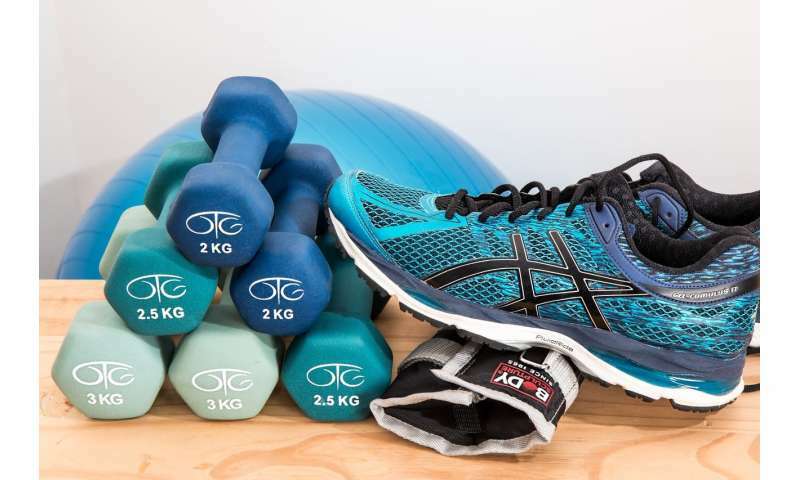 Results also showed that over half of the patients surveyed showed interest in getting help from a personal trainer and were willing to pay a bit extra, but that the topic of physical activity was rarely discussed by their physician. "This is a missed opportunity," Valenstein said. "If we can make it easier for both therapists and their patients to have easier access to physical activity services, then we are likely to help more patients reduce their depression and anxiety." Once the effectiveness of this approach is proven, she added, health insurers might consider moving in the direction of covering services that help people exercise. "Several insurers already do this for diabetes prevention, so it's not out of the question."